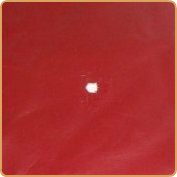 Product description: Our Heavy Filler is our top-rated product used for fixing holes in leather. 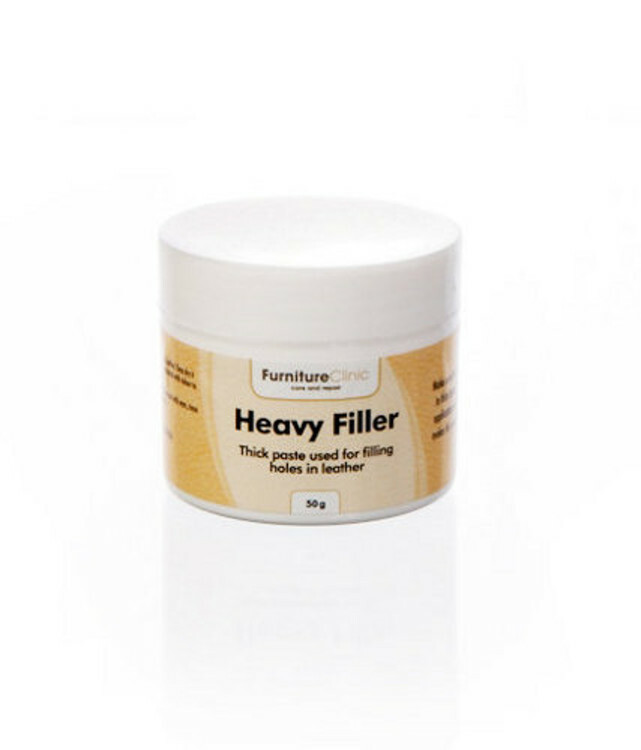 Heavy Filler is available online - shop today! or Sending sample for color match. 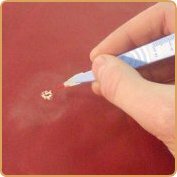 There are times when a temporary patch is all that we need, and there are times when a long-lasting repair is the only solution. What calls for a solution that’s engineered for a goal of longevity? Well – when it comes to leather – the possibilities are endless. After all, we know that purchasing leather is not the cheapest material available today, and we want to partner with you to preserve the quality and durability of your leather items. 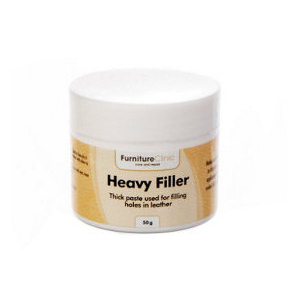 A common application for our Heavy Filler comes in the form of high use areas: from seating cushions in your living room, to the arms of your office desk’s leather chair. A thick, paste based filler, this product gently fills scuffs and holes, dries within the targeted spot, and adheres to the leather so inconspicuously that a guest would never realize it existed in the first place. 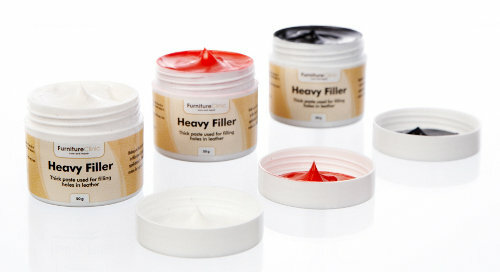 Our Heavy Filler is a white paste, however, our goal at Furniture Clinic is to always provide an assortment of options that can be customized for your unique leather products. 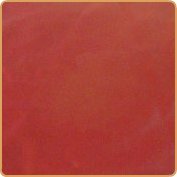 This product can be paired with our Leather Colorant – also available in our online store – and together they team up to blend the filler color with the precise color you need. 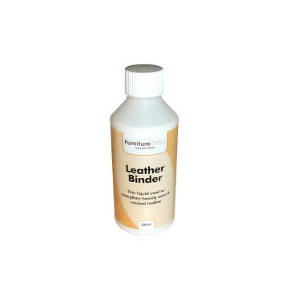 A top-rated product for not only its ability to be customized, but also its flexibility in purpose and application, our Heavy Filler is a must-have product for your leather treatment supply cabinet. 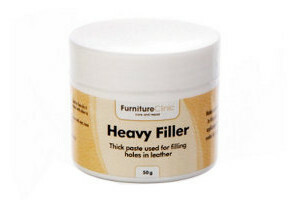 If you’re fed up with seeing the same scuffs and holes in your leather furniture day in and day out, it might be time to try out our Heavy Filler. 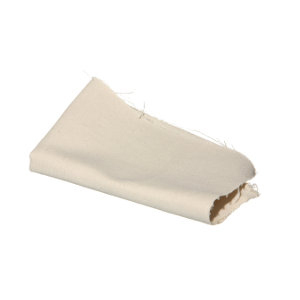 While you can beat existing leather damages, you can’t beat the quality and quick shipping solutions that complement every purchase at Furniture Clinic. After securing a ‘Canvas Patch’ behind the hole, it is filled with the heavy filler. 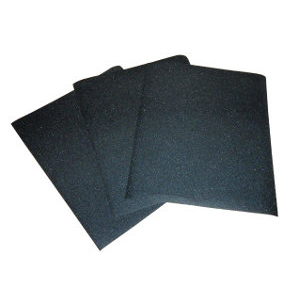 The layer is dried with a hair drier, and re-applied until flush with the surface. The filler is sanded smooth. Color is then applied (in dots) to mimic the grain pattern. The rest of the white filler is then colored. 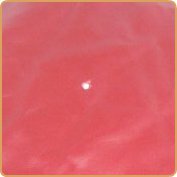 A final coat is sponged on and the hole disappears!